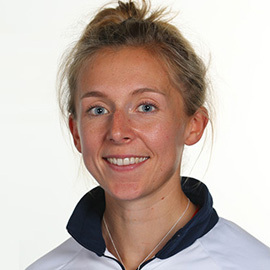 Talk about having an instant yet lasting impact on a sport: rower and Olympic speaker Katherine ‘Kat’ Copeland MBE had only been in the senior Great Britain rowing team squad for two seasons when she won an Olympic gold medal in London 2012, the first Olympic gold that any British lightweight women’s squad had ever won. When she won the double scull at the Olympics with Sophie Hosking, it wasn’t just Kat’s face that lit up. Her achievement amazed, awed and inspired millions throughout the UK and beyond and she brings that level of inspiration and motivation to her talks when she relates her experiences to audiences. Katherine was awarded the MBE in 2013 for her services to rowing. Definitely a talent to watch – she won her gold when she was just 22 this Olympic speaker is wise beyond her years and is delighted to share this wisdom with audiences at a wide range of private events or conferences. Since her Olympic success, Kat Copeland went on to win a bronze medal at the 2014 European Championships in Belgrade, a silver medal a year later in Lake Aiguebelette, France, and a gold medal in the World Championships the same year in Poznan. All of her medals were won in the women’s lightweight doubles. To book Katherine Copeland MBE as the Olympic speaker for your corporate event or conference, simply contact the Champions Speakers agency by filling in our online contact form. Alternatively, call a booking agent directly on +44 1509 85 29 27.